Ubiquity has been awarded the contract for Ping Pong Fight Club, a spectacular inter-company ping pong tournament, party and networking event with a difference! It’s happening in Liverpool on April 4th at Camp & Furnace in the Baltic Triangle. Fancy a very entertaining and unique night out featuring VR ping pong, robot challenges (ping pong robots that challenge all-comers in a 60 second dual! 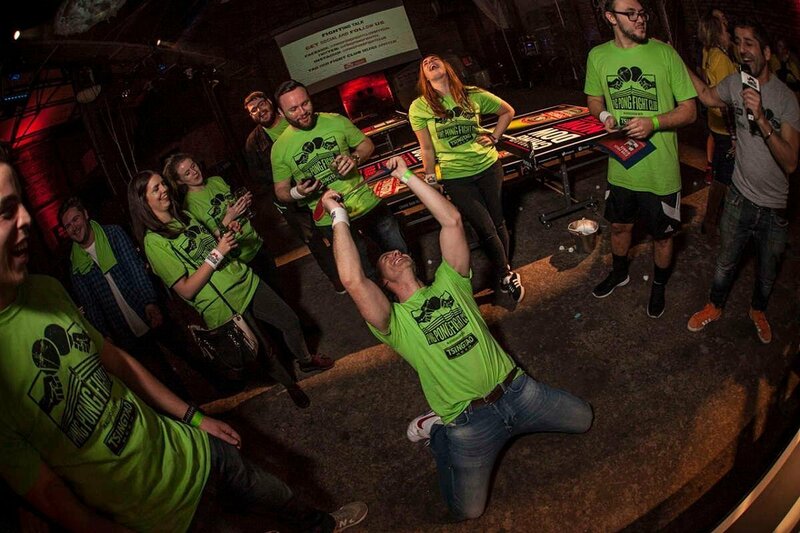 ), food, pop-up bars, DJs and inter-company beer pong championships?!? The ping pong bragging rights of Liverpool are also up for grabs with the winners receiving a brand-new pro-table delivered to their office! Pick a team, pick your packages and register before it’s full!